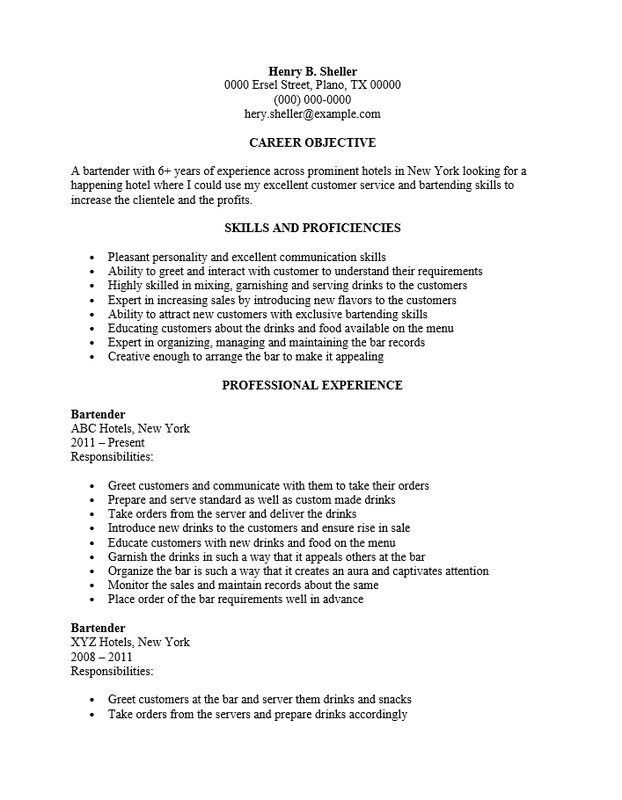 The Bartender Server Resume Template provides relief to bartenders seeking a position in one of the most competitive markets of the service industries. Bartenders must be able to show they possess the specialized serving skills necessary to precisely mix drinks in nearly any environment. 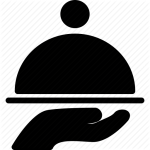 Depending upon the nature of the establishment or position, other duties ranging from light bookkeeping to maintenance may be required. This may be a demanding field however due to how lucrative it can be and the freedom from such things as a staunch educational requirement, many will flock for these positions Thus, it is important for a bartender on the lookout for opportunities to be on top of his or her game when seeking a new opportunity. Job hunters may take advantage of a resume template’s versatility. Initially when first composing this document, they will enjoy a bit of relief since the headings and format have been predetermined. This allows a user the time to compose some smartly written content. Once an initial document has been composed and proof read it should be saved as a master document. Then, when it is necessary for job seekers to revise their resume for a particular opportunity, the master document coupled with a blank template will ensure a relatively speedy job inquiry.. An applicant need only copy most of the finished resume into a blank template (revising where appropriate). Conducting a job search with vigilance and being one of the first to respond to a job posting will definitely be beneficial to a serious job hunter. If the resume contains content that has been carefully thought out and of high quality, it is likely to intrigue a recruiter enough to call the applicant in for an interview where he or she may demonstrate their skills. Step 1. Enter your name on the first line. Make this a large font or bold it. Step 3. Make a list of your skills and specialties place this in the “Skills and Proficiencies” section. Step 4. Enter your work history in the “Professional Experience” section. This is a list of your previous jobs with the most recent first. Each job should start with your official job title, previous employer name and location, and the dates employed there. Following should be a concise list of what you were responsible for there (job duties/functions/requirements). Step 5. In the “Educational Qualifications” section report each degree/diploma you earned, the name of the school, and the graduation date.